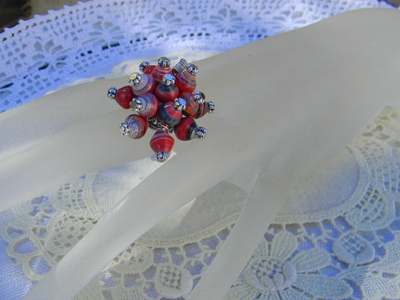 This Red Cocktail Ring is made out of round paper beads with red print pattern that is true magazine color. 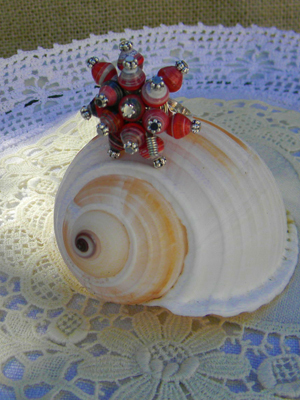 I used the same technique in making the Sea Anemone ring – wire wrapping the beads on head pins to a single loop ring finding. Painted Paper Bead Swap Update: We will be mailing the kits to the bead swap participant on Tuesday, March 22nd. I hope you will like them. This ring is very pretty in this color also tonic! 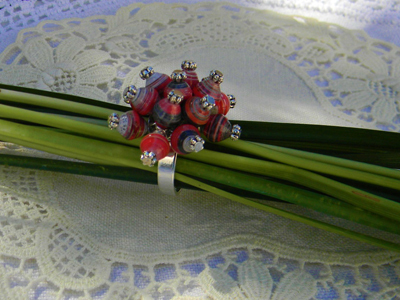 I prefer it as well, with small round paper beads … I really like! I second that Cathy! Love it!